We, at the Peace Academy, aspire to create holistic real world experiences in an eco-friendly and robust learning environment with the most comprehensive standards in the sciences, the humanities, and the arts. Our programs are designed for students to strengthen individuality, seek their potential, and maximize their opportunity to learn and contribute. While building bridges of respect among each other and the environment, students will experience the richness of coexisting among people of diverse faiths, cultures, and backgrounds. We believe that when children learn our fundamental similarities, an appreciation for our differences emerges. We model for the world how our differences make us stronger, how to build on each other’s strengths, and how coexistence is the pathway to peace. We are dedicated to honoring each child and what he/she brings to the school’s culture. Students are led through their journey with a grounded sense of belonging, by a highly qualified and select group of skilled educators dedicated to each child’s formative experiences. Through these experiences, our children will become leaders who can grasp the complexities of humanity and attain a better understanding of the world in which we live. 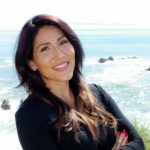 Dr. Nisha AbdulCader, General and Child Abuse Pediatrician, is the medical director for the Suspected Abuse Response Team, the pediatric consultant for Martha’s Place Children’s Assessment Center, and supervising physician at the Juvenile Service Center for the County of San Luis Obispo. She received the 2012 Hands-on Hero Award for her dedication to the health and well-being of the youngest and most vulnerable residents of San Luis Obispo County. As a medical student at UCLA and pediatric resident at Harbor-UCLA, Dr. Abdul Cader co-founded the UMMA Community Clinic in South Central Los Angeles, the first Muslim free clinic project in the United States. Brandi Dodson takes pride in her local roots. She grew up on the Central Coast and currently resides in Nipomo. Brandi has worked in Real Estate in some aspect for over 10 years. She currently holds a National Association of Realtors Green Designation and a Certificate of knowledge in Building Science Principles. 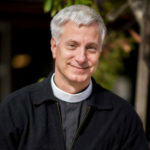 Associate Priest at Calvary Episcopal Church in Santa Cruz and at St. Mark’s Episcopal Church in Palo Alto. Before beginning full-time ministry, Rob worked in two high-level finance positions. He worked as Finance Director, PC Sales, for Hewlett Packard, as Controller, Finance Talent, for Cisco Systems, Procter & Gamble in Cincinnati, Ohio and Merrill Lynch Capital Markets in Manhattan. On the academic-side, Rob graduated from Northwestern University with a B.A. in Economics and Computer Studies and an MBA in 1991 from the Fuqua School of Business at Duke University. He received a Master of Divinity degree in from Fuller Theological Seminary and a Certificate in Anglican Studies from the Church Divinity School of the Pacific. He was ordained to the diaconate in June 2009 and to the priesthood in December 2009, both in the Diocese of California. Rob is currently enrolled in the UC Davis UCCE Master Gardener Program, and sings with the SLO Master Chorale, Opera SLO Chorus, and Central Coast Gilbert & Sullivan group. Rob lives in Arroyo Grande with his husband, Jeff Diehl, Principal and CFO at Albion Environmental, Inc. and has a daughter who lives in Bellevue, Washington. Noha Kolkailah was born in Cairo Egypt and raised in California. 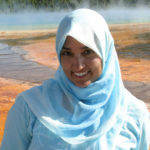 After starting a summer school in Hawaii at age sixteen, Noha decided to become a teacher. She attained a bachelor’s in Biochemistry, her teaching credentials, and a master’s in Educational Leadership and Administration from Cal Poly State University. 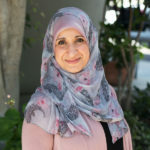 After 13 years of teaching in the private sector, Noha began taking on administrative roles and now serves as an Assistant Principal of Academics for grades 9-12 at Mission College Preparatory Catholic High School. Most recently, Noha was awarded the David Conn Diversity Advancement award by the Jewish Community Center. She received this award on behalf of SLO’s Muslim community, for leading the efforts put forth towards intercultural exchange in service of the greater good. Dr. Stephen Lloyd-Moffett is an internationally known Religious Studies scholar and Professor of Religious Studies at Cal Poly, San Luis Obispo. 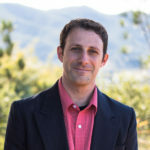 A dynamic, popular community lecturer, he is the recipient the Cal Poly College of Liberal Arts teaching award, the President's Community Service Award, and was named one of the Top 20 Under 40 by the San Luis Obispo Tribune. Author of Beauty for Ashes: The Spiritual Transformation of a Modern Greek Community (St. Vladimir’s Press, 2010) and numerous articles, Dr. Lloyd-Moffett explores the history and contemporary practice of religions around the globe. Professor Lloyd-Moffett holds an M.A. in Religious Studies from University of California, Santa Barbara; Master of Theology from St. Vladimir's Orthodox Theological Seminary; Ph.D. in Religious Studies from the University of California, Santa Barbara. 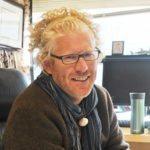 Adam Loveridge is a Spiritual Director in the Christian Tradition. 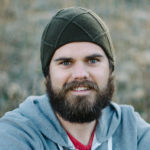 For the past 12 years, he has worked for a national faith-based non-profit leading retreats and meeting one-on-one with staff and university students. Adam grew up in a small town north of Lake Tahoe and loves the small town feel of the Central Coast. He came to San Luis Obispo to attend Cal Poly and graduated with a degree in Architecture. He recently completed the Diploma in the Art of Spiritual Direction program at San Francisco Theological Seminary. He loves to travel and has been able to spend time in nine different countries. Adam says the most fulfilling times of his life have been when he was able to spend time with and learn from people from ethnicities, cultures, and religious traditions different than his own. He, his wife, Tina, and daughter, Hazel make their home in Los Osos. Michael Mazzella was born and raised in Long Beach California. He moved to SLO for school and graduated from Cal Poly with a BS in Mathematics. After graduating Michael explored his spirituality and came to identify as a Buddhist and decided to pursue a career in the mental health field. Since then Michael has been working towards a masters in psychology while also working to help at-risk youth, people who experience extreme mental health challenges, as well as women and men who have been victims of sexual trauma or intimate partner violence. Michael currently works for the integrative community based mental health company Windhorse IMH, as a Senior Team Counselor. He also works in the counseling department at RISE offering therapy to individuals, families, and children. Moving forward Michael hopes to work with individuals, families, and children on a community level to foster a healthy, thriving environment for peace leaders. 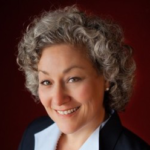 Rabbi Janice Mehring is the spiritual leader at Reform synagogue Congregation Ohr Tzafon (Northern Light) in Atascadero, CA. She is committed to understanding and dialogue amongst people of varied faith traditions. Her work goes beyond finding what is common to our faith traditions, to working towards mutual respect and honor of our differences. She works toward building a just world for all through being a board member for People of Faith for Justice, serving on the Community Affairs Council for the Jewish Community Center of San Luis Obispo, and as a member of the North County Clergy Group. She completed her undergraduate education at UCLA, a Master's degree from USC and a second Master's in Rabbinic Studies and ordination for the Academy for Jewish Religion-CA in Los Angeles. She has been a resident of the Central Coast since 1986. 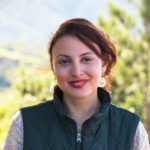 Sarah Mostafa is a policy and sustainability professional with several years of experience in the private, public, and nonprofit sectors. She currently works at the County of San Luis Obispo, where she manages a number of countywide climate and energy-related programs and projects. She is passionate about supporting K12 educational initiatives in the county, especially related to STEM education. She volunteers her time to volunteering with nonprofits and is currently a Board Director for the Santa Maria Library Foundation. The Peace Academy of the Sciences and Arts admits students of any race, color, national, and ethnic origin to all the rights, privileges, programs, and activities generally accorded or made available to students at the school. It does not discriminate on the basis of race, color, national, and ethnic origin in administration of its educational policies, admissions policies, scholarship and loan programs, and athletic and other school-administered programs.